First opened in June 1899, by the Royal Mint of London, the Perth Mint was originally under British Colonial rule. Though it was not the first Royal Mint branch to be opened in Australia. The first branch opened was the Sydney Mint in 1855. Unfortunately, it was also the first to close in 1926. The second branch to open was the Melbourne Mint, which continued business until 1967. Last (but certainly not least) was the Perth Mint. The mint remained under Britain's jurisdiction until July 1970 and is still going strong today as the oldest operating mint in the entire South Pacific. The Perth Mint began production of the now popular 100 dollar Gold Kangaroo coins in 1989. Each coin is struck in .9999 fine gold with a beautiful image of Queen Elizabeth II on the obverse (along with the date and denomination of the coin).The reverse image, however, is changed annually while still maintaining the same concept, a kangaroo. For a larger selection in Australian Bullion, browse our Australian Silver category. 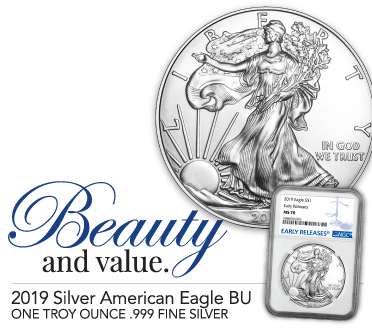 Collecting modern world coins is a great way to expand your collection of investment grade bullion with interesting and unique coins from around the world. At SilverTowne, it is our mission to provide our customers with only the best quality products available. 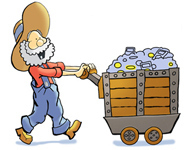 The Perth Mint of Australia is a highly renowned and respected facility withing the bullion industry. 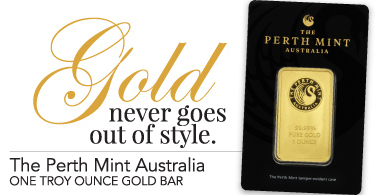 Available in multiple sizes and designs, Australian gold from Perth is a perfect addition for any portfolio!